My grandmother, Raleigh Mae Farrar, communicated regularly with most of the families on the Next-of-Kin list she received from the War Department. 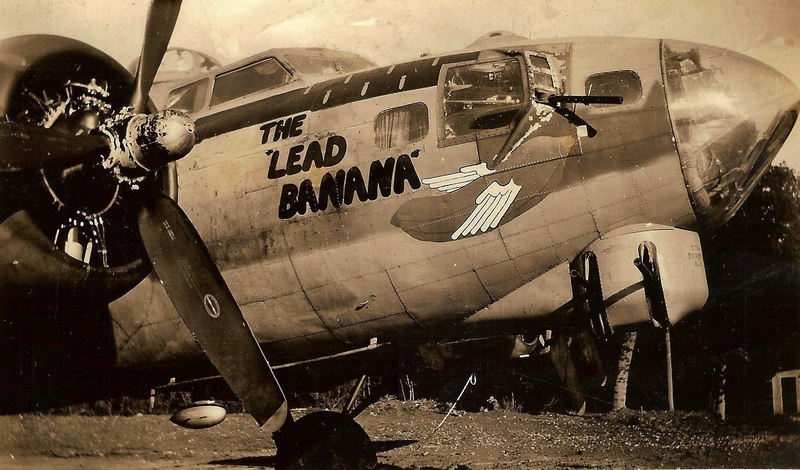 The document listed all the crew members that were aboard Lead Banana on September 28, 1944 in the mid-air collision with Lazy Daisy. One family from which she did not receive any letters was the McMann family. The letter of April 9, 1945 from Mrs. Buslee to Raleigh Mae Farrar indicates that none of the families had heard from the McManns. Their son, George Francis McMann, Jr., was the ball turret gunner with the Stanley M. Gilbert crew. September 28, 1944 was the first time McMann had flown with the Buslee crew. He had just flown with the Gilbert crew the day before, September 27, but the Gilbert crew did not fly on September 28. McMann was selected for that mission as ball turret gunner for the Buslee crew, one of a long list of replacements for original Buslee crew ball turret gunner, Erwin V. Foster. The only other Gilbert crew member to fly on September 28 was Jack V. Carella, the tail gunner. Carella joined Buslee navigator, Chester Rybarczyk, on Hot Nuts with the William J. Blankenmeyer crew on September 28. 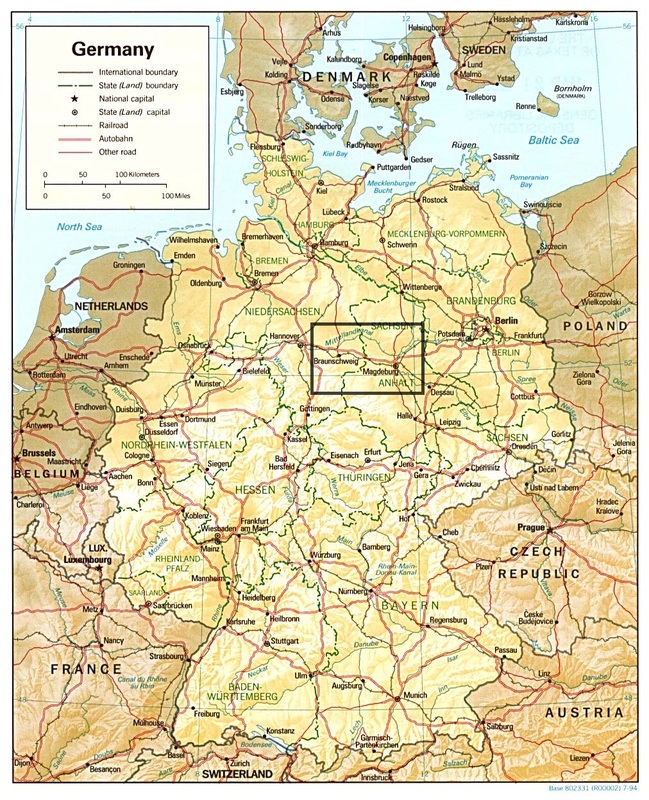 According to the Blankenmeyer Sortie Report, on Mission 201 to Magdeburg on September 28, 1944, aircraft 42-39888, known as Hot Nuts, “Left formation after target for unknown reasons, but returned to base.” Undoubtedly, the crew aboard Hot Nuts left formation in an attempt to determine the fate of the crews of the Lead Banana and Lazy Daisy, especially the Buslee crew aboard Lead Banana, as Chester Rybarczyk was normally a part of that crew and could have been on that plane if he had not replaced Robert H. Obermeyer on the Blankenmeyer crew. 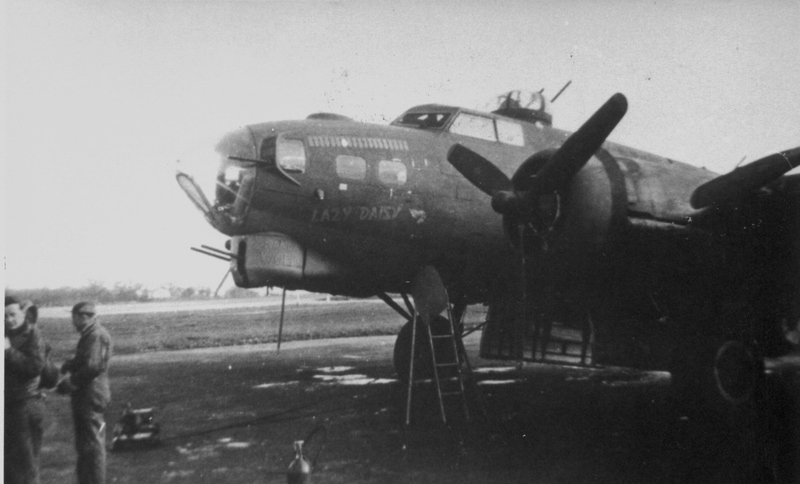 Two days after witnessing the mid-air collision between Lead Banana and Lazy Daisy, tail gunner Jack Carella returned to the skies with the Gilbert crew for mission 202 on September 30 to the German Air Force (Luftwaffe) airfield, Handorf Airfield, in Münster, Germany. Joining him on the Gilbert crew that day was none other than Erwin V. Foster, whose absence from the Buslee crew since September 9 had put George McMann in the ball turret on Lead Banana on September 28. From his position in the ball turret, Foster would have had a great view except for the clouds that day, clouds which obscured the primary target and resulted in a decision to release the bombs on the center of the city. Foster and Carella continued to fly together on the Gilbert crew until the end of their tours. Carella completed his tour on January 28, 1945 and returned to the states. Foster completed his tour a month later on February 28. Along the way, Foster was able to serve one more time with one of his original Buslee crew mates, engineer/top turret gunner, Clarence B. Seeley, eight days before Foster’s final mission. They were reunited on mission 269 on February 20 to a railroad target in Nuremburg, Germany. Seeley eventually completed his tour on March 10. George Francis McMann was born in early October 1924 to George and Nellie McMann. He entered the service from Rhode Island. McMann lost his life on his tenth mission on September 28, 1944 in the mid-air collision between Lead Banana and Lazy Daisy. He is buried at the Netherlands American Cemetery, Margraten, Netherlands in Plot N, Row 22, Grave 4. McMann was awarded the Purple Heart. In August 2013, Jack Carella signed the 384th Bombardment Group’s Wing Panel. To see photos, click here. For more information on the Wing Panel project, click here. May 3, 2015: Correction made above to George McMann’s birthdate. After reviewing the 1925 Rhode Island state census, I can see that George’s age was 6/12, rather than 6, when the family’s entry was recorded on April 18, 1925. George was born in Providence Ward 7, Providence County, Rhode Island. At the time of the census, the McManns were boarders in the home of Florence Riley at 1466 Westminster Street in Providence. Both of George’s parents were born in Rhode Island about 1900 as both were listed at 25 years old at the time of the census. No other children for the McManns were listed. I can find no other census record for the family.